You’re invited to become a blog sponsor! Hooray! There are so many fun things coming to the blog very, very soon. Weekly free printables for the Simplified Planner™, new product release announcements, Simplified business posts, etc etc etc! If you’d like in on the fun, send us a note at hello@emilyley.com for details! We have a few ad spaces open! 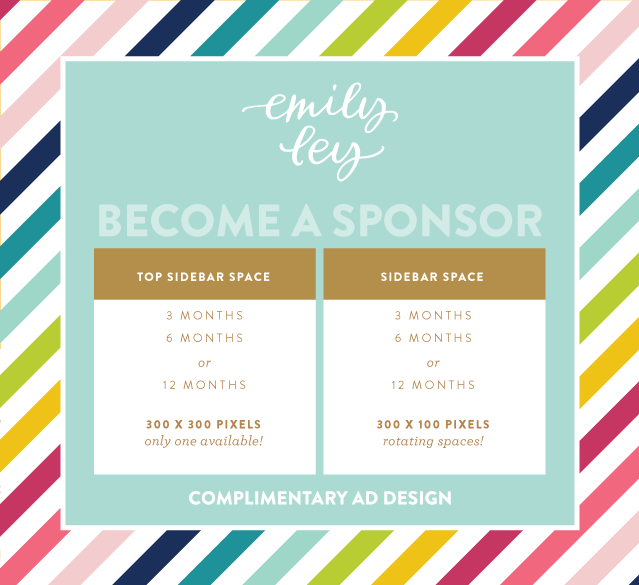 Each sponsor will receive complimentary ad design (with one round of revisions)! Since the launch of our SHOP, our readership here has SKYROCKETED. We’re so excited and can’t wait to unveil all the new blog features coming soon. I also can’t wait to introduce a few new faces around here! Wishing everyone a wonderful Thursday!